Register now for CAN 2017: Supporting effective partnerships: Deadline for registrations – 7th April. Registration for CAN 2017 is open and places are filling fast. The deadline for registration is 7 April. 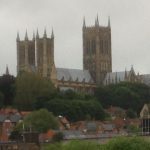 The 5th annua l CAN conference on 20 & 21 April is a fantastic opportunity for students and staff from across the UK to share good practice and honest reflections on the importance of working in partnership to improve the education experience. This year’s conference is hosted by the University of Exeter and supported by Jisc. There are 50 confirmed sessions and a closing plenary student panel session. The conference will open with a keynote address presented jointly by staff and students at the University of Exeter, charting the role that Exeter students have played as “Change Agents” over the last 10 years, and what developments and challenges lie ahead for Exeter. The Conference’s second keynote address, “Authentic Partnership – what, how and why?” will be provided by Colin Bryson (Newcastle University, Chair of the RAISE Network) in partnership with Fanni Albert, a combined honours student from Newcastle University. 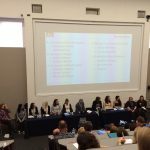 Have a look at the final programme here and if you want to know what this CAN conference is building on, have a look at Birmingham 2015 and Lincoln 2016. One participant reflected “This event has been a great opportunity to share ideas and discuss common goals, challenges and ideas.” We hope you’ll join us and discover that the ‘buzz’ happens throughout the 2 days and isn’t limited to the coffee breaks! Posted by Ellen Lessner on March 1, 2017 in Uncategorized. As part of our collaboration with Surf Netherlands around innovation in learning and teaching, we held joint event hosted at the Jisc London offices on Tuesday 24 January 2017. The event was attended by 45 people including a Surf study group of about 20 staff from colleges and universitites. Delegates from the UK presented examples of how they are working with students to support innovation. You can view Paul Bailey’s summary of the day together with all the slides from the presenters here. 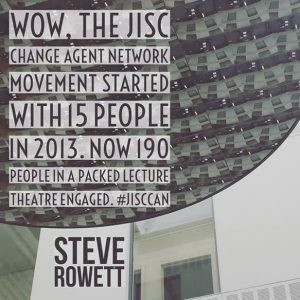 The University of Exeter is proud to be hosting the 5th annual Change Agents’ Network Conference, which is being supported by Jisc on Thursday 20th and Friday 21st April 2017 at the Streatham Campus in Exeter. You can now register for the conference here. Please note early bird rates are until 23:59 on Wednesday 22nd February. More information is available here and on the conference website. If you would like to propose a session for the conference please complete the Google Form by 23:59 on Friday 10th February 2017. More information about the call for contributions is available from the conference website and also in the document attached. Please contact Sarah.knight@jisc.ac.uk and J.Hibberd@exeter.ac.uk if you have any queries. Posted by Ellen Lessner on December 11, 2016 in Uncategorized. Professor Mick Healy, on behalf of the IJSaP Editorial Board, has offered us an opportunity to share innovative UK practice on working in partnership with students with an international audience. We are delighted to let you know that about the launch of the International Journal for Students as Partners (IJSaP), a new open access journal about learning and teaching together in higher education. IJSaP explores new perspectives, practices, and policies regarding how students and staff (meaning academic staff/faculty, professional staff, and other stakeholders) are working in partnership to enhance learning and teaching in higher education. 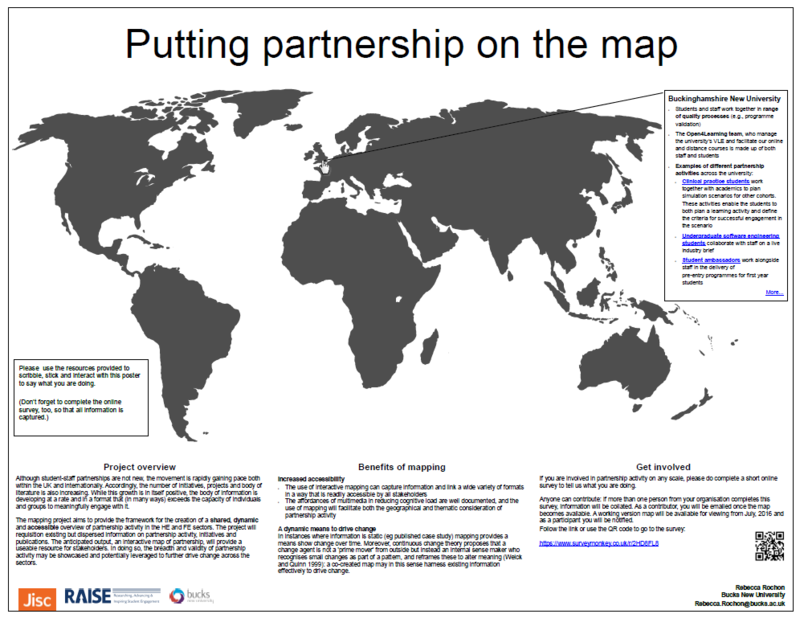 IJSaP is produced using a partnership approach with teams of students and staff from Australia, Canada, UK and USA. Further details about the journal are available here. The editorial team for the journal values multiple forms of analysis, including research articles, case studies, opinion pieces, reflective essays, and reviews. Some contributions will be specifically about the process of partnership. Others will focus on examples or outcomes of partnership activities. However, all contributions must discuss the implications of the partnership activity for learning and teaching in higher education. Contributions written collaboratively by students and staff are particularly encouraged, although single and other co-authored pieces are also acceptable. All submissions go through a rigorous review process involving both staff and students who are trained and supported as reviewers. Students and staff with a genuine interest in students as partners are invited to complete an expression of interest to join the International Review Panel. Inexperienced reviewers will be trained and mentored before undertaking independent reviews. If you are an experienced reviewer you will be asked whether you would be willing to mentor an inexperienced reviewer. Wherever possible, we encourage experienced and inexperienced reviewers to sign up in pairs, so that the experienced reviewer can serve as a mentor for the inexperienced reviewer. The journal is open for submissions at any time and following vetting and international peer review accepted pieces will be published in the next available issue. However, we would request that you send us a brief proposal (around 250 words) to ijsap@mcmaster.ca on what you propose to submit before you write it. Then we can give you feedback and monitor the likely pattern of submissions. The idea for the journal emerged in conversations at the first International Summer Institute for Students as Partners in Learning and Teaching in Higher Education, held at McMaster in May 2016. (The next one is planned for 8-11 May 2017 ). IJSaP is published twice a year by McMaster University Library Press and supported by McMaster’s Paul R. MacPherson Institute for Leadership, Innovation and Excellence in Teaching (previously known as MIIETL). Posted by Sarah Knight on October 31, 2016 in Uncategorized. We are delighted to announce that the University of Exeter will be hosting the 2017 CAN Conference. The conference will be held on 20-21 April 2017 and will celebrate and showcase the achievements of student staff partnerships. 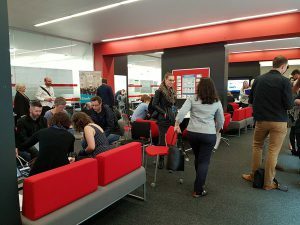 The national meet up/annual conference is an excellent way to allow students and staff from various institutions to showcase the exciting projects and initiatives they have been working on throughout the last year. 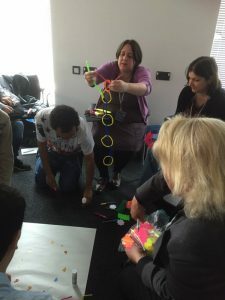 If you wish to help us plan or facilitate a specific strand or theme for the event, please get in touch with Jake Hibberd (j.hibberd@exeter.ac.uk) and Sarah Knight (sarah.knight@jisc.ac.uk). Posted by Sarah Knight on September 7, 2016 in Uncategorized. We are delighted to publish the 7th CAN institutional case study submitted by Dr Jane Secker, Copyright and Digital Literacy Advisor at the London School of Economics sharing the work of the Student Ambassadors for Digital Literacy (SADL). SADL is a programme coordinated by Learning Technology and Innovation and open to LSE undergraduate students. It has been running since 2013, when it started as a pilot in two academic departments. LSE Students Union offer support and promote SADL which aims to develop students digital literacies, but provides an opportunity to understand more about what their needs might be. SADL has operated as a staff student partnership from the outset. It runs as a year long programme for up to 50 students to develop students capabilities around finding and evaluating information, using digital tools for academic practices, managing and sharing information and reflecting on their digital identity. Read the full case study here. Posted by Sarah Knight on September 5, 2016 in Uncategorized. On 2nd June, the University of Lincoln hosted the 4th annual meet up of the network, with 175 participants from over 47 institutions representing higher and further education, of which 63 were students. 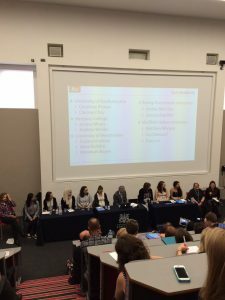 From the initial meeting in 2013 hosted by Simon Walker and Mark Kerrigan, at the University of Greenwich, with 15 change agents, to 70 participants at the University of Winchester in 2014, 120 in Birmingham in 2015 and now 175 for our 4th annual meet up, it shows the impact student partnerships in having on driving change with technology and enhancing learning and teaching in HE and FE and Skills. What a fantastic day we had and it was a privilege to meet so many inspirational staff and students who are driving change in their institutions through student partnerships. The event was officially opened with a welcome from Professor Sue Rigby, Deputy Vice-Chancellor (Student Development), University of Lincoln. 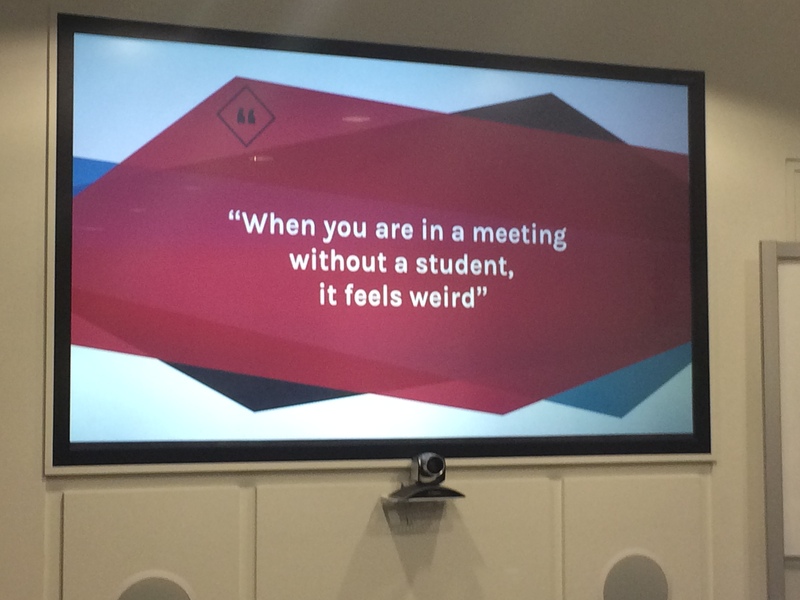 It was evident from Sue’s welcome that support for student engagement and partnerships starts at the top. Sue challenged us to use the Teaching Excellence Framework as a vehicle to show how student partnerships can be embedded in all aspects of institutional practice. •	Joint review of practice. 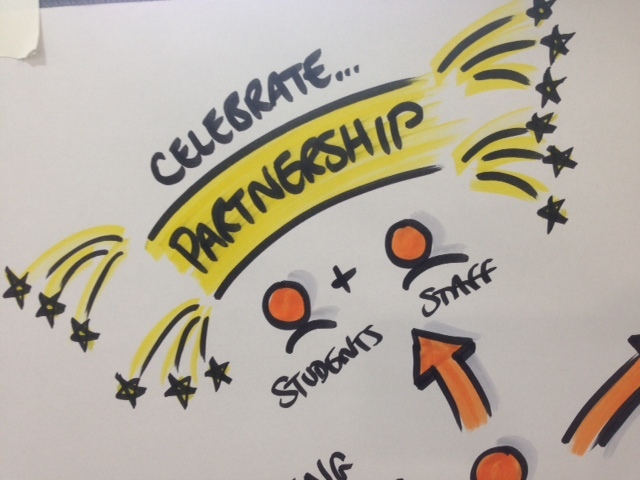 As one delegate tweeted, ‘this is my to-do list to embed partnerships at my institution’. You can view Karin and John-Paul’s presentation here on Periscope (starts around 14 min) with our thanks to Chris Thomson for his recording. The 25 student partnerships showcase sessions brought together the best of institutional practice from across the UK. Students presented their projects with passion and easily identified the benefits they were realising from their involvement. You can view short video clips from these sessions by visiting the conference website and clicking on the showcase tab and selecting the video icon. 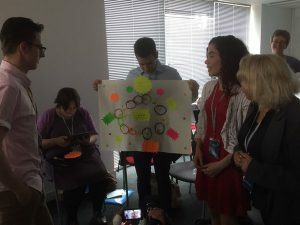 There was a noticeable buzz that this market place activity generated with plenty of ideas to take away and new connections made. Posters from these sessions will be added when available. We were also delighted to see 3 of the Jisc Summer of Student Innovation projects participate in the showcase, with SALT: The Student’s Academic Literacy Tool, University of Teesside; UCanCook – the augmented reality cookbook, with Chris Medwell and his learners from Doncaster College and Gemma Holtam, Dearne Valley College, with a Specific learning difficulties digital stories e-book. These student developed tools have the potential to transform learners’ lives. 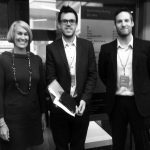 •	Making student engagement a reality – Turning theory into practice led by Luke Millard and Stuart Brand from Birmingham City University, stepping in for Ellie Russell who had travel difficulties and unfortunately couldn’t join us for the event to represent the work of TSEP. 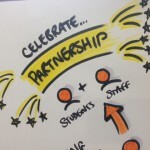 What will success student partnerships look like in 2020? 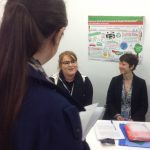 We ended the day on a high with 15 students from 5 institutions sharing their experiences of working in partnership. You can view the recording of this excellent panel chaired by Simon Walker session here. And so ended #JiscCAN 2016! We would like to thank our hosts the University of Lincoln, and in particular, Reece Horsley, Marcus Elliott and Dan Derricott (for the original invitation) for all their hard work and dedication in organising such a successful event. 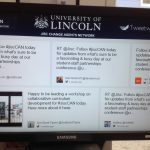 We are already planning #jiscCAN 2017 and in discussion with an institution who has stepped forward with an offer to host the event next year. We also have another potential regional network starting up in the Midlands. We are also hoping to support an FE and Skills focused event later in the year. 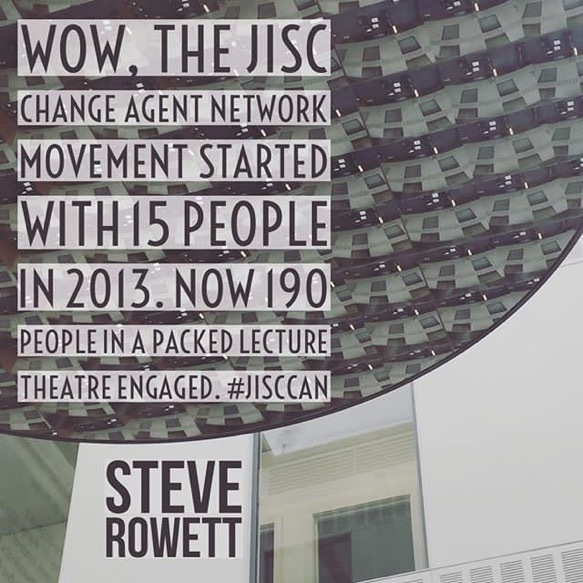 I am so proud to have been involved in CAN and to have seen the network grow and evolve into being a nationally recognised lead for student partnerships. With the enthusiasm and vision of the CAN team of Simon Walker (University of Greenwich), Mark Kerrigan (Anglia Ruskin University), Peter Chatterton, Clare Killen and Ellen Lessner, the network has enabled students and staff across UK HE and FE and Skills, to share and continually develop their practice on student staff partnerships. 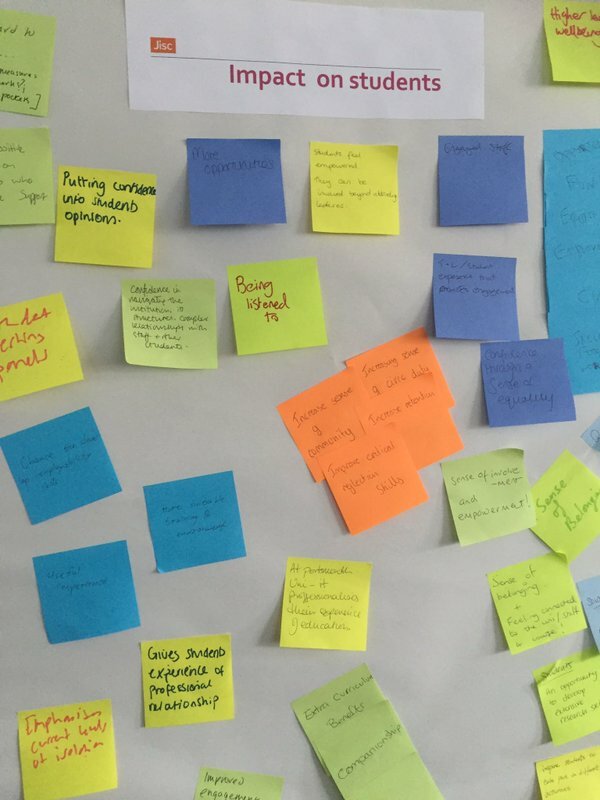 With the ever changing political and educational landscape, student partnerships offers an exciting way forward to lead and sustain change across HE and FE and Skills. You can view the Storify summary here and view the conference learning wheel set up by @DebMillar24 @learningwheel. Presentations will be added to the event blog page. Posted by Sarah Knight on June 6, 2016 in Uncategorized. Posted by Ellen Lessner on June 5, 2016 in Uncategorized. Launched in December 2008, the student academic partners scheme (SAP) brings together project teams of students and staff working in partnership on initiatives designed to improve the student experience. This case study outlines how the SAP scheme was developed and how it has impacted on student engagement and the student experience. The case study includes examples of the SAP scheme in action and includes details of other student engagement initiatives that have grown from the success of SAP showing how the principle of student engagement and working with students has become embedded in all aspects of the university. The sixth CAN case study is available in Word or PDF format along with other case studies on the Resources page. Posted by Ellen Lessner on April 28, 2016 in Uncategorized.